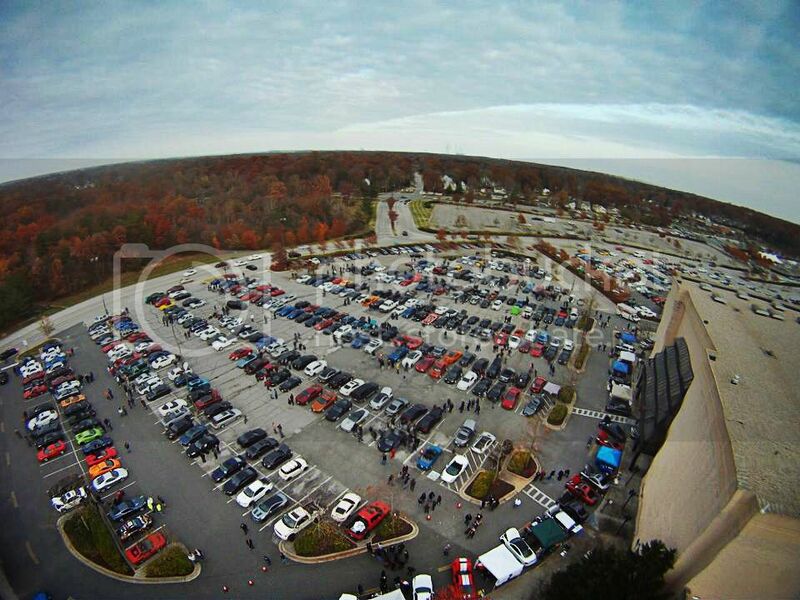 The "Mid Atlantic MEGA MEET" End of Season Charity Event Was a Success! The Mid Atlantic MEGA MEET would like to thank everyone that braved the windy/chilly weather yesterday to show support for this charity event. Thank you to AiNET for allowing us to use their new data center parking lots. Thank you to Mischief.tv for media coverage of the event and to DJ Remell for DJing. Thank you to the Marley Station Mall and also the Anne Arundel County Police for approving the permits. Thank you to the DC Rollergirls, Race Appeal, ModMeets, Hill’s Garage, Custom Functionz, Speed Happens, AAM Competition, and Team HighMaintenance for each being an event sponsor and assisting in paying for the off duty police officers. Thank you to all the great staff and volunteers that helped throughout the day allowing the event to run smoothly. A HUGE thanks to Bonchon Chicken, MD for the generous $500 donation! I am not sure if more people came to see all of the amazing rides or a bald Dustin Worles. Most of all, thank you to everyone who donated to the U.S. Marine Corps Reserve Toys for Tots program and also to the American Red Cross. At the end of the day, the Marines left with a van full of toys and $739 was collected and will be used to purchase even more toys! $340 was also collected for the Hurricane Sandy victims along with several bags and boxes full of canned goods and clothes. Knowing that we have all helped so many people through this event is the perfect way to end the 2012 season. Hope everyone has a wonderful holiday and see you in April/May 2013 for Mid Atlantic MEGA MEET Season Opener! Newer PostLast Remaining Mischief Hotwheels Evos on Sale!